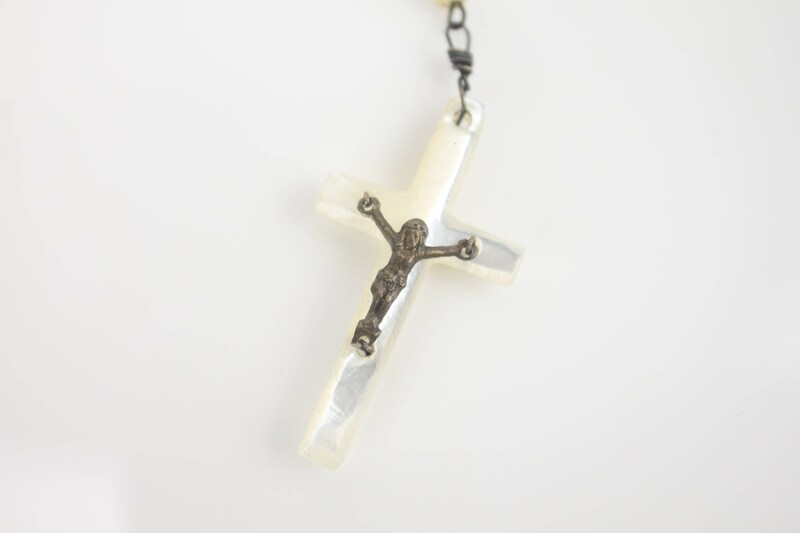 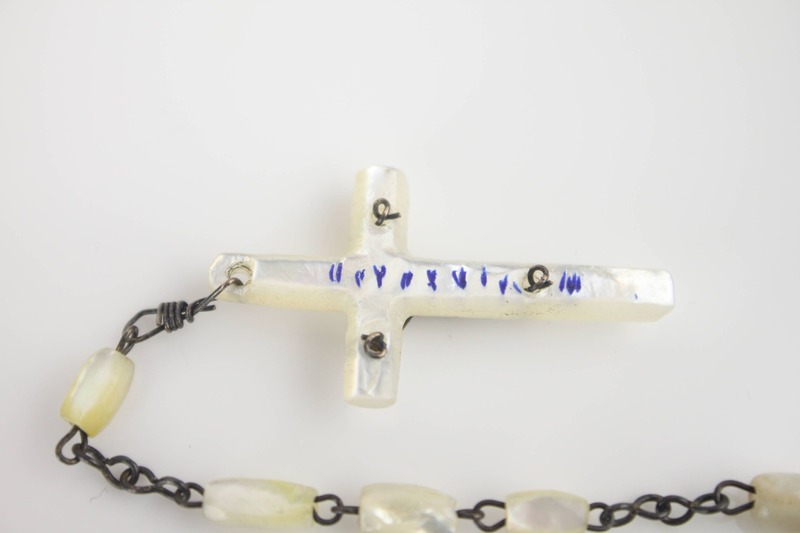 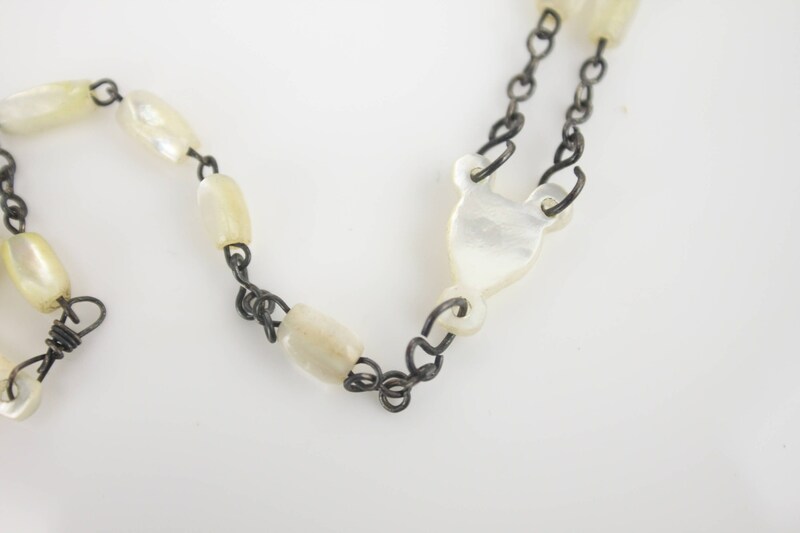 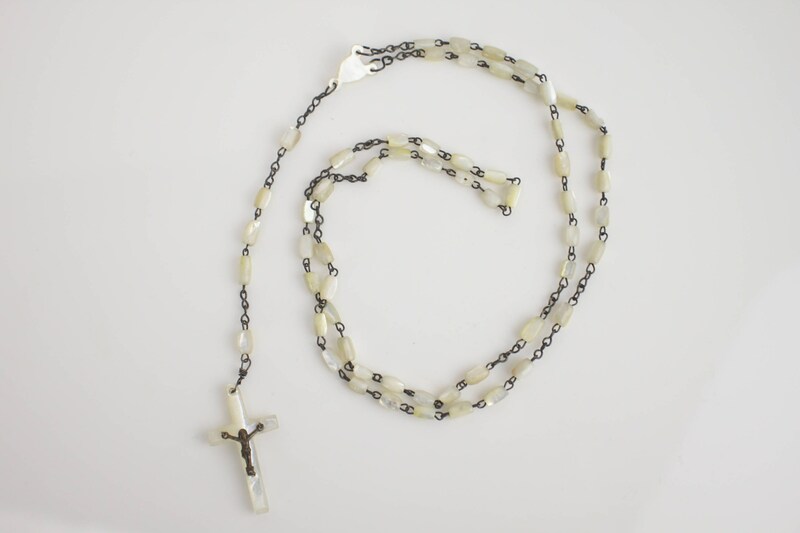 Made from hand carved mother of pearl and silver plated brass - This rosary is the final word in understated beauty! 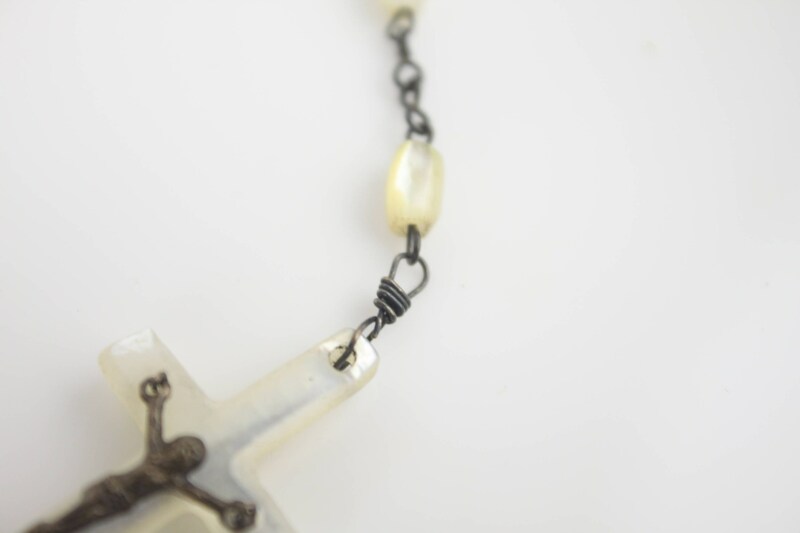 Most likely made between the late 1800's and early 1900's. 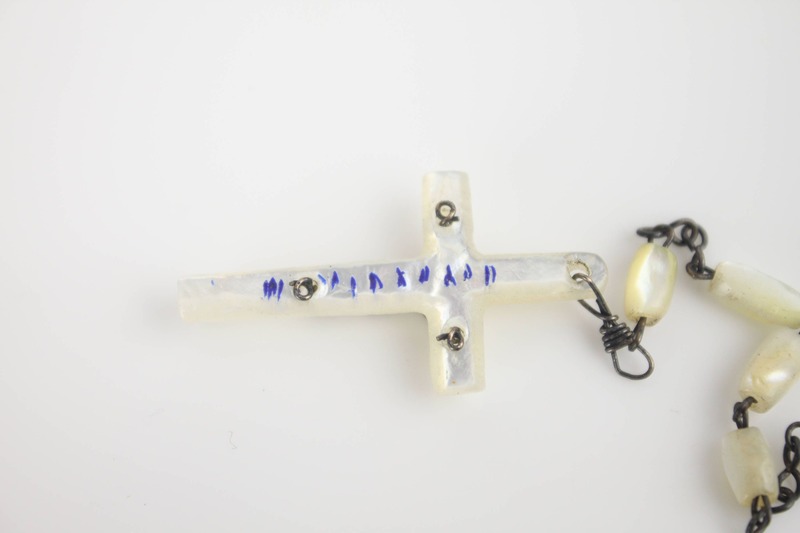 The back of the crucifix is inscribed with something in blue ink - I am unable to read the inscription due to wear.